You spend a lot of cash cleaning the exterior of your car, but what about the interior? A car is a significant investment and is the largest expenditure you’ll ever make other than the purchase of a home. 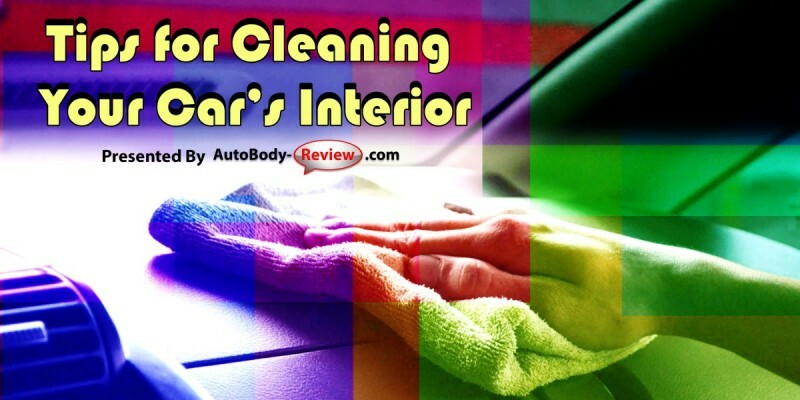 That’s you need to be diligent about properly cleaning your interior as part of a preventive maintenance program. 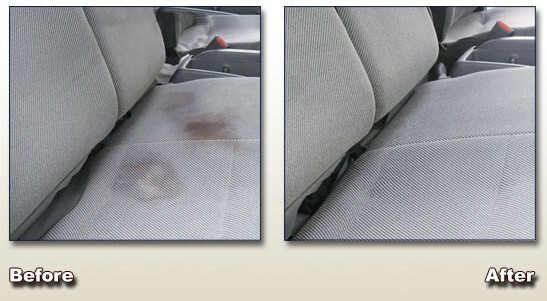 If the interior of your car is dusty and stinky, it’s not good for the car or your self-image. It all ultimately comes down to health and safety. Dirty air vents can spread dust and other allergens throughout the car’s cabin. Filthy windows and mirrors can obscure the driver’s view of the road, and grunge can work their way inside the buttons and switches on your dashboard or console that can cause them to stop working. Hiring a professional to detail your car can cost you upwards of $100-$200, so here are some ways for you to do it yourself in your driveway or garage and save money. First, you will need a vacuum with an extension hose and an assortment of attachments. Work from the top down, so that particles that are dislodged and fall during cleaning can be picked up later when you vacuum the seats and carpets. 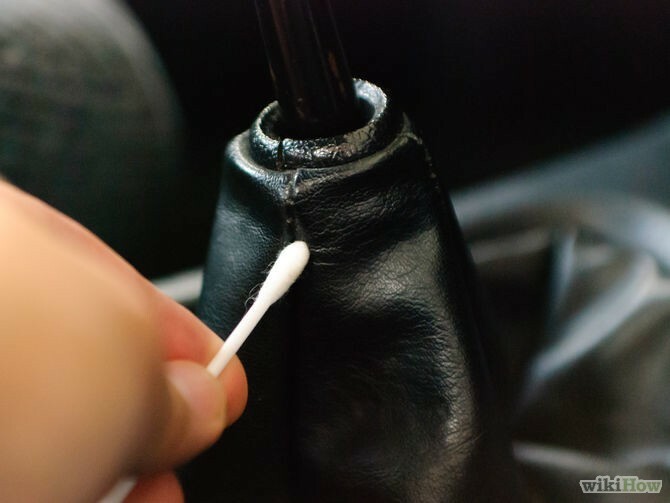 Use the vacuum’s upholstery nozzle on the headliner, seats and other upholstered areas—such as in the trunk or cargo area. 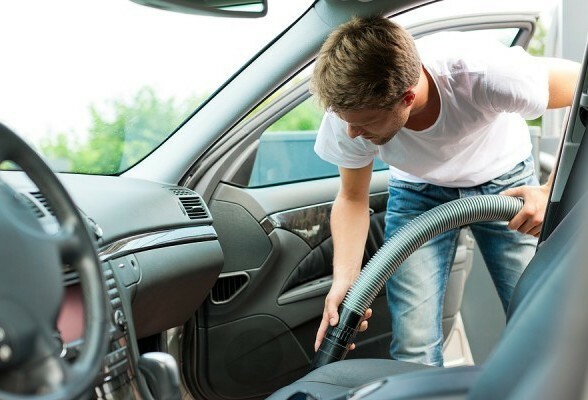 Remove the floor mats and vacuum and clean them separately. If you’re motivated, remove the spare tire and tools to vacuum that compartment and make it a clean sweep. Use the vacuum’s crevice tool to get into visors, seat pockets, and other tight areas where other attachments will not fit. Use the dusting brush to vacuum plastic, hard vinyl and metal parts such as vanity mirrors and dashboard components—hard vacuum nozzles can possibly scratch or damage these parts. If you have access to an air compressor, you can use it to blow out dirt from hard-to-reach areas on the dashboard. Use the floor brush when vacuuming the carpet so that you can dislodge dried mud and other unmentionables. Move the seats forward or backward to reach areas under the seat and take out removable seats in order to get to those tricky hard-to-reach areas. 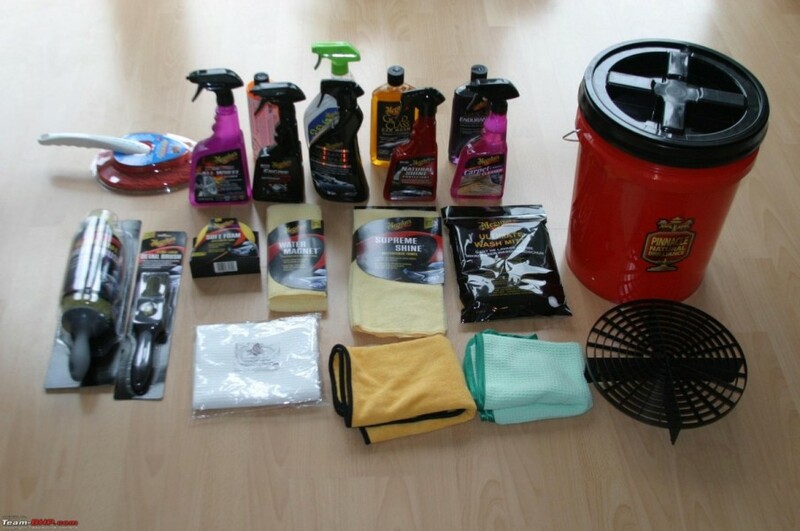 Any auto parts store will have a variety of cleaners for different types of surfaces—including carpet, upholstery, leather and plastic. But there is no need to buy specialty cleaners just for cars—household cleaners work fine. Be careful, however, to use the proper product for the right cleaning job. If in doubt about a product, test it on an area of the car that doesn’t matter, like under the dash. 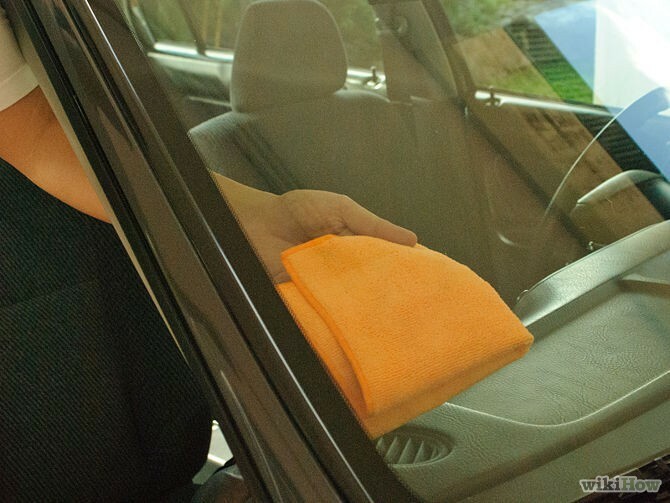 A household all-purpose cleaner will get to any remaining dirt left on your dashboard, rubber door moldings and interior trim. Again, spray the cleaner directly on a clean cloth. Clean tight areas such as air vents, radio buttons and panel seams with a dampened soft toothbrush, cotton swab or small brush. Don’t forget to clean the safety-belt buckles, change drawer, glove compartment and ashtray. A good way to clean just about any carpet is with a steam cleaner, but if a steam cleaner is not accessible, you can use a general spray-on carpet cleaner. Work it into the carpet with a stiff bristle brush. Avoid getting the carpet and upholstery too wet as you risk acquiring mildew or possibly damaging electronic equipment. If you have a problem stain caused by makeup, a coffee or soda spill, tree sap, oil, gum or tar, you should use a specialty cleaning product to get rid of it. You selected the quality and luxury of leather when you bought your car, but now you have to clean it regularly to keep it that way. 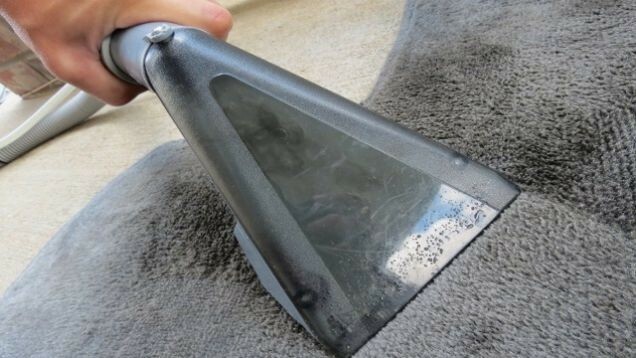 Use leather cleaner, saddle soap, or another mild leather soap on a damp cloth and rub it softly onto all leather areas. Remove the excess soap with a clean, slightly damp cloth. Use cotton swabs to remove excess soap from the seams. By keeping the inside of your car nice and clean, you’ll be happier and your vehicle would tell you the same—if it could talk!